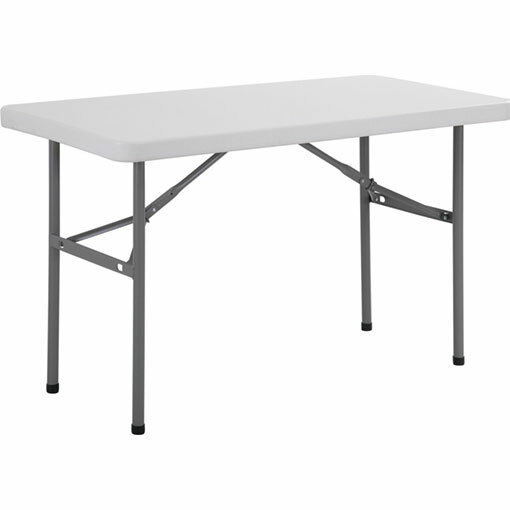 These 6ft x 2.5ft, high quality, strong, yet lightweight Polypropylene tables are suitable for indoor or outdoor use. 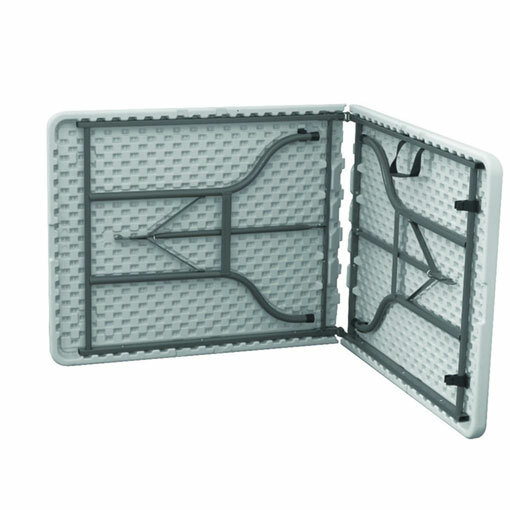 Featuring a “Fold in Half” table top, this product is perfect for storing in limited spaces and very simple to use. 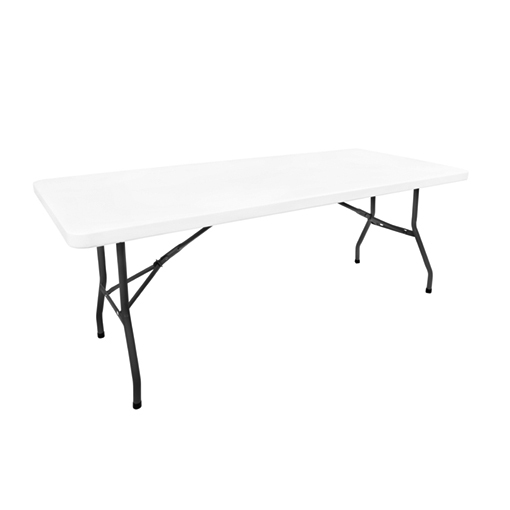 With powder coated, tubular folding legs, these tables extremely durable and very practical. Always stocked ready for next day delivery. Commonly used in Construction Yards, Scout Groups, Exhibition Furniture, Army Cadets, Adventure Centres, Racetracks, Football Clubs, Outdoor Furniture, Tables for Grass, Girl Guides, Movie Companies and Sports Groups.